The avocado has become such a versatile ingredient that you see them more and more in kitchens across the United States just waiting for the perfect softness to cut it open. The avocado has grown up a lot from the days or really only finding it at local restaurants when they make it into avocado to now being a staple on a burger, on a salad or even in a smoothie. Lucky for us, the avocado is packed with such great nutrient dense vitamins and minerals that many of us are always looking for ways to add it to every meal. A food listed high up on a nutritionists list, its creamy texture always adds an extra nice velvety finish without taking away too much flavor from the rest of its meal companions. So what is the next craze for the avocado? Well, sooner than later you know Starbucks was going to conceptualize an idea and make it available nationwide. Starbucks has indeed added avocado to a drink, calling it ‘avocado blended’ however it is only available seasonally in South Korea currently (after being on hiatus for three years). No need to wait for this avocado blended frappuccino to make it stateside. Here is all you need to know on how to make one yourself tomorrow morning. *Although we do not know exactly what is in an avocado blended frappuccino at a Starbucks in South Korea, this is our EBOOST version. Bring 1 cup of water to optimal temp for matcha (see matcha brand you are using for the desired temp). 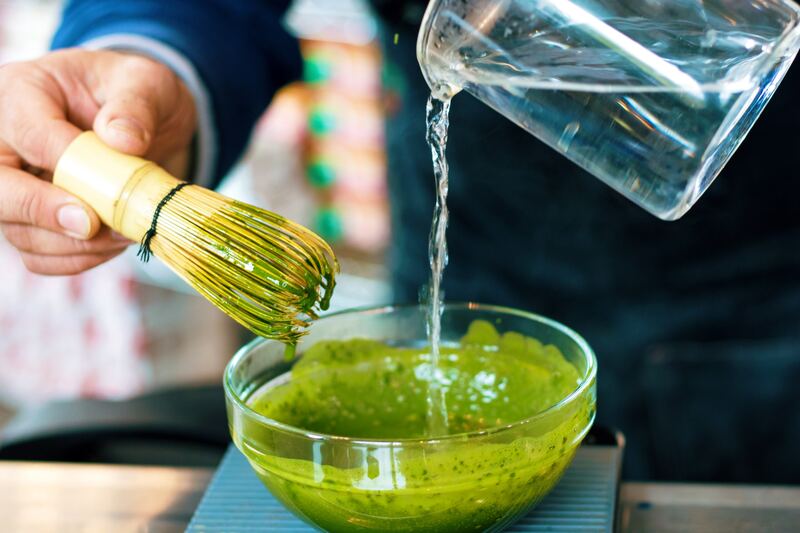 Mix 2 servings of matcha with 4 TBS matcha powder to form a paste. In a blender, blend together SPRUCE, avocado and coconut milk until smooth. Add matcha into the blender and blend just a few seconds to mix.